← Video 36: Magnetic Surfaces – Part 1. Video 37: Magnetic Surfaces – Part 2. We are glad to be back and bring continuity to this well received project! Thank you for the e-mails and notes asking for more! Magnetic Surfaces – Part 2. from Go Beyond The Classroom on Vimeo. In Magnetic Surfaces – Part 1, the children explored the physical sciences through a very homemade marble run. 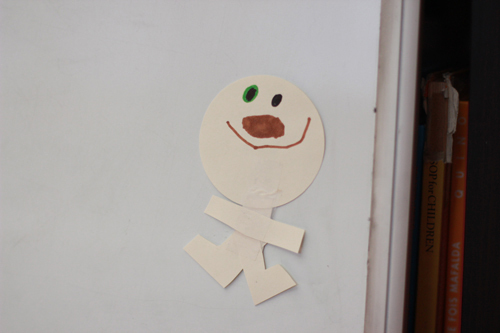 We will now model a couple more ways to use a magnetic board and in Part 2, we look at it as a story telling device. Children instantly start telling, retelling and making up new stories with this board. The pictures are a collection of what I get in my junk snail mail, old catalogues and some pictures that the children made. Give it a try. If your child is very young and not yet writing, invite him/her to write a story anyway. It’s fun to pretend and they start applying what they see around them. They also start looking at print with meaning and their marks on the paper can be typed up later, if you voice record them, or take notes of what they are narrating. They use made-up words, or “big words,” sophisticated words, or new words – and it’s OK if they are out of context at first! 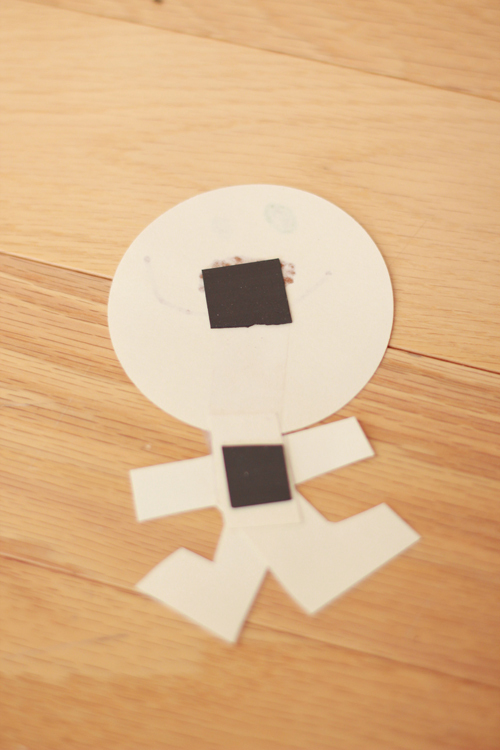 They will start using story structures found in familiar books they read like circle stories, pattern stories, or plain old “Once upon a time, the end” stories, like the child in this video. Your young author will benefit from this so much! 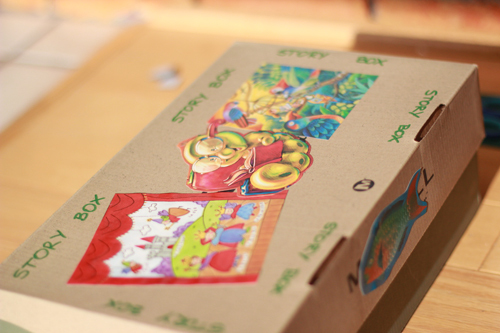 Just any shoe box will do for a “story box” full of imagination inside! 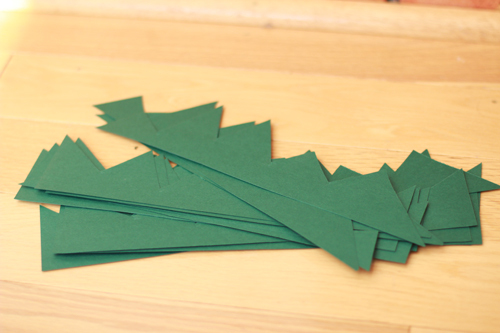 And lots of homemade grass…!